The pivot was treated every time he went to the bench and still was the best. Great victory for the Sixers, which equals the Pacers in third place. The Pacers-Sixers left us with a strange image. 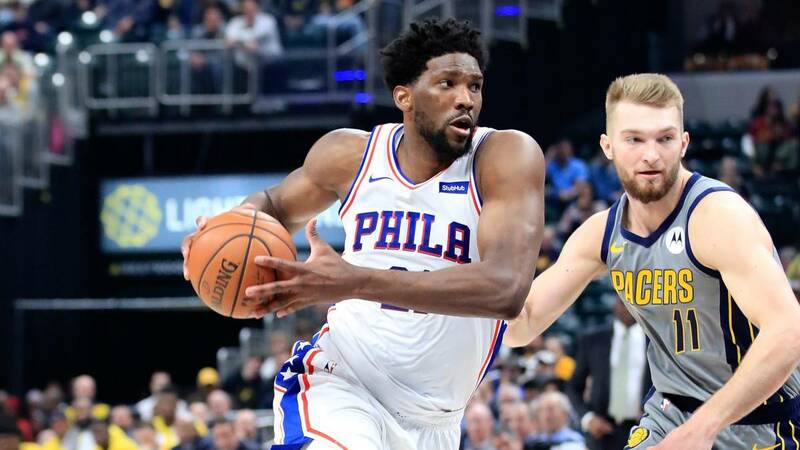 Joel Embiid with continuous problem in his back, which the physios were already trying before starting the match and then every time the pivot went to the bench. It was evident that he was not comfortable and still he was the best player on the court . The Cameroonian did everything: score (22), rebound (13), assist (8) and stop (3) . One of the stoppers, Oladipo, came after running back in a counter against Indiana, leading to doubt whether he really had physical problems by the level of demand of the play. A performance, as a whole, of a level of commitment (let alone quality) worthy of telling. He was the beacon of the great victory of the Sixers in Indiana. Perhaps the best of the season on the road, where they still have a negative record (11-12) . And the Pacers are showing a little bit more than last year, to the point that they have been third parties in the East for quite some time now. Tonight the Philadelphia team have reached them and it seems that at the best time of the season. The overwhelming victory against the Wolves, coupled with this very convincing, shows us a real team that has often cost him really impose on court throughout the season, even if winning matches. Brett Brown may be finding the magic formula so that its three stars carburete at the real level they can give. If that is the case, the other aspirants of the conference can be prepared because they will have a very hard bone to crack. Jimmy Butler also completed a great match (27 + 5 + 8 + 3) and J.J. Redick (20 + 3 + 5) was instrumental at the end of the third quarter and the beginning of the last to confirm the visiting lead with several key shots and assists. The Pacers were almost always in tow from the second quarter. In the third quarter they seemed to react from Thadeus Young (27 + 6) and Oladipo (15 + 2 + 7), but it was only a mirage. Ins are having a great season and they look better than last year, but they have already stumbled many times against the big East to trust that they can reach beyond the conference semifinals.